Horatio Chapple was killed by a polar bear last week in Northern Norway. Four others were injured and the bear, a mature male was shot dead. While the details of why this happened are still fairly unclear, two points stood out for me. Firstly what a terrible way to go. And secondly the boys were on a trip with the British Schools Explorers Society. That’s a registered charity which seeks to provide an opportunity for youth development. However those in real need of development might have been missed. A s per usual, this opportunity with the Explorers wasn’t in fact a real leg-up for Horatio. The trip cost £2,900 which sounds reasonable. After all, the flights, insurance and organisational costs would be significant. But this therefore limits the access. Who can afford such development? Horatio was a student at Eton College (ironically another registered charity) which costs £30,000 + a year to attend. 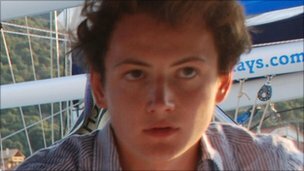 His photo on the BBC story showed him sat on a racing yacht. He was hoping to study medicine at Oxford which costs another £3,000 a year. Now I am not saying all the kids were from the same background but what we see here is an example of the reinforcement of social and cultural capital. A simple embedding of social advantages. Alongside the government’s cuts to council budgets and the façade of its replacement Big Society merely add to such disparities of opportunity. The kids on the tragic Norway expedition may need less development. They might have the advantages already. A real charitable expedition involves taking on those who lack access yet who need opportunity. Opportunity leads to empowerment. That is development. This entry was posted in inequality, news, politics, university by Dan. Bookmark the permalink.